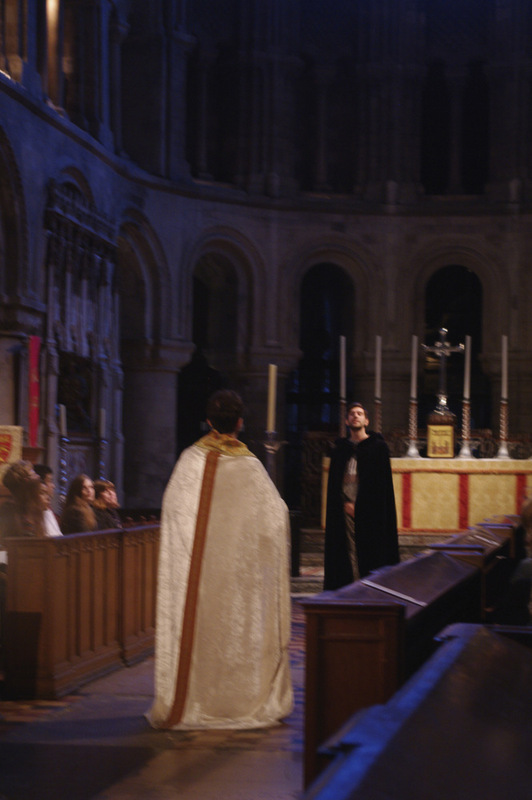 St Bartholomew the Great already partly stood in the time of Becket, which makes it a setting of choice for the play. 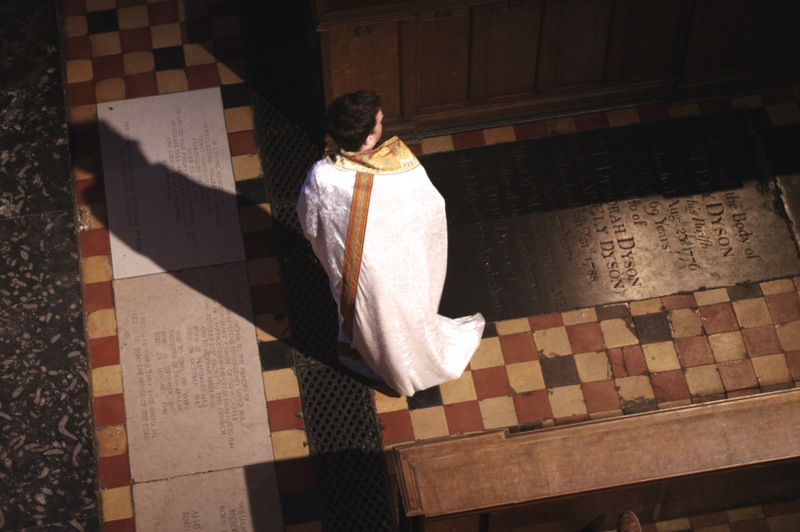 Eliot conceived the text to be performed in a religious building (the Chapter house of Canterbury Cathedral) and Little Spaniel Theatre feel really privileged to be able to stage it in St Barts. 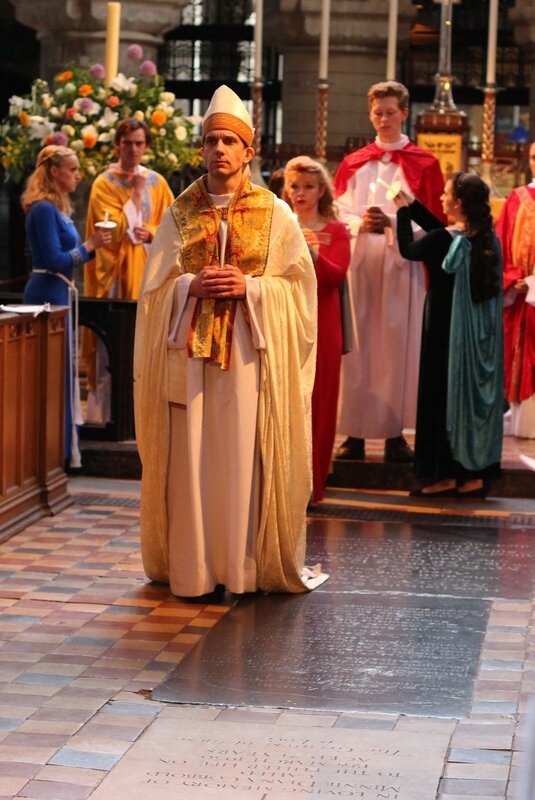 We have tried to make the most of the church’s extraordinary atmosphere and aimed at giving back to Eliot’s medieval pageant all its vigour and strength of vision. 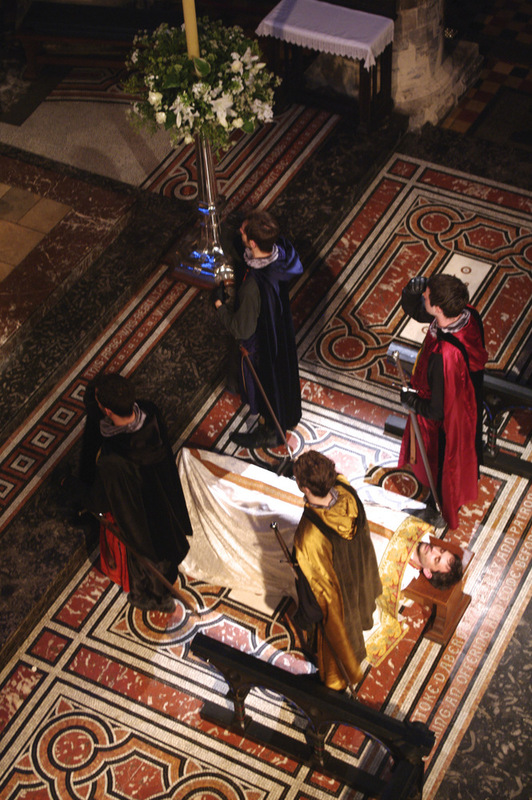 This “Murder”, delivered by a young and energetic cast, wants to create a tableau of early Plantagenet England without compromising on the modernity of the play. 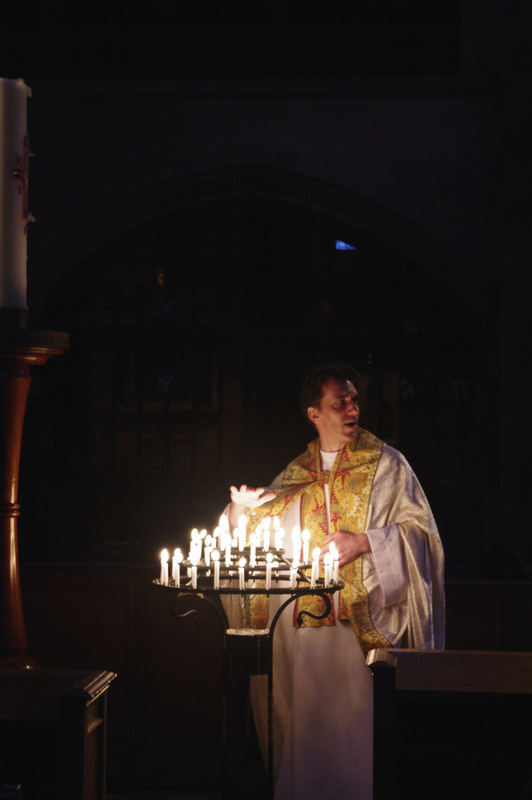 No setting would have served it better than St Bartholomew.